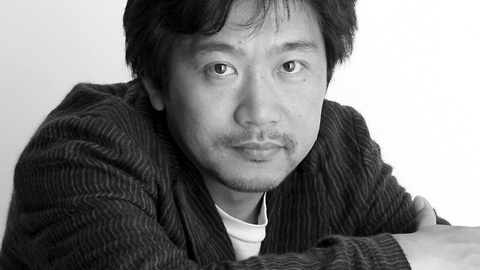 Hirokazu Kore-eda is seen as one of the quintessential exponents of young Japanese cinema. His films Maborosi, After Life, and Distance were all firm festival and art house favourites, and his latest, Nobody Knows (Dare mo Shiranai), is no exception. Screened in competition at Cannes 2004, it walked home with a Best Actor prize for 14-year old Yuya Yagira (who was absent from the ceremony because he had to return to Japan for his exams). Based on a true story, Nobody Knows is the account of four children who are abandoned by their mother and have to do their best to survive in their apartment. On Distance you used a very specific style of direction and a very specific way of working with your actors. Did this influence the way you worked on Nobody Knows? Yes, in a good way. The experience of making Distance gave me a wider perspective on how a film can be made. With Nobody Knows I consciously set out to make a fiction film, which is a different approach from Distance, but I still applied a lot of the things I learned from making Distance. For example how to use the camera in relation to the children and how to create the right atmosphere on set. But some of the things I applied in making this film also date from After Life. When you make a documentary you have to adapt to what reality imposes upon you. You also need to be able to make quick judgements. With regards to fiction, I used to think that documentary-style filmmaking was impossible because everything is already set down in the screenplay and the storyboards. On Distance I wanted to catch what came from the actors, which meant doing away with storyboards and always using handheld cameras. Since I succeeded in making a film this way, on Nobody Knows I was confident that I could adapt to the situation even though I used a screenplay and storyboard. So can we say that for you there is a pre-Distance and a post-Distance? In a way, yes. I wanted to make Nobody Knows a kind of summation of the experiences I gained from making my first three films, the good ones as well as the bad ones. Did you have to adapt your methods because you were working with children? We didn't do any rehearsals of scenes, but we did take a lot of time to prepare. We shared a lot of time with the children and recorded everything on video, so they could get used to our presence and the presence of the camera. We also observed them to try to get an impression of their individual personalities. We devised situations for them, for example an argument between the children. From that we noticed how each of them would react in that kind of situation. That allowed us to figure out how they developed over several takes. One would be great on the first take, another would need three of four to get to his best performance. With four children, each with a different timing and personality, how did you adapt your working method? It must have been difficult to find the right take. The differences between them and their performances kind of dictated how we needed to edit the film. We needed to structure the film around their performances. Yuya Yagira would get better after several takes, while Ayu Kitaura was very consistent from take to take and the two youngest were best on the first take. This meant that for example in a scene between Yuya and the two youngest kids, we would let all three of them act, but we would fix the camera on the two kids on the first take and keep Yuya outside the frame. Then on the later takes for the same scene we would frame Yuya and keep the two kids off screen. So even if the film feels like a documentary, it contains quite a lot of cuts because we had to devise the editing around the children. We also made regular use of fixed camera positions. You used quite a lot of close-ups too. Were you planning on doing this before you started shooting or was it also a result of adapting to the children? The close-ups like hands, toes, or crayons on the floor I considered in advance as inserts. But the close-ups of their faces happened more instinctively. I couldn't resist filming their faces, because they were so cute (laughs). What did you gain from the experience of working with children? The whole process of making the film took one year, so it was quite an unusual situation. Each season we would shoot a certain episode. I would then edit that section and based on that edit I would write the part for the following season. So I repeated that process four times, and as a result I was more deeply immersed in this film than in any of the previous ones. You didn't write the plot in advance? Aside from the ending, the story was set before I started shooting. But the details I worked out between the seasons. The result was that when I got back together with the cast and crew in a new season, everyone would be surprised by what I had come up with. I enjoyed that way of working a lot. How did you go about casting them? With the exception of Hanae Kan, who was in Pistol Opera, I believe most of them are newcomers. I auditioned a lot of children for these four parts and by chance all the ones I chose didn't have any previous experience as actors. I wanted to cast the children first and then cast the mother based on the children, because to act with four untrained children would be very tough for the actress. She would have to deal with unpredictable reactions. I also wanted to avoid giving the audience the impression that the character was a bad mother and that everything that happens is her fault. If the audience would have that impression, then the result would be the same as the media coverage of the affair that inspired the film. She was the victim of her particular circumstance and maybe she loved her children in her own way. One day I was watching a TV variety show where I saw You and I thought that she could be able to meet the demands of the part of the mother. She was very quick-witted and didn't pretend to be a good person. The day after I saw that show I called her and we had a meeting at a café. In person she was exactly the same as on that TV show. But she was hesitant and told me that it would be better not to cast her and that she was no good at remembering dialogue. I told her that learning dialogue wasn't necessary and that I was planning to give the actors their lines every morning and that we would develop the scene from there. After that, she gave in and accepted, and I must admit that I never expected that she would be as good as she is in the film. She really surprised me. You seem to really like children. I don't know if I like children in general, but I like the kids in the film very much. I chose them for the film and had them adapt to the making of it. I made them step into the very adult world of filmmaking, so I felt a great responsibility toward them, which made me want to show their own personal emotions in the film. I tried my best to get that across. What was it that attracted you to the story? Was it because you like children or because you found something that reminded you of your own youth? Maybe both. Sometimes when you watch children, you feel that they show emotions that you as an adult can relate to. For this film my desire to understand these children was very strong, particularly their actions once they were left to their own devices. You never show Yuya Yagira cry, even though his character is in the toughest situation of all four kids. He's not in a position to cry. Crying is useless for him. Also, I didn't want the film to become sentimental. That was my bottom line, because I didn't set out to just tell a sad story. It may be sad but, in the end, to me it was above all a story about a boy becoming mature. It had a positive side to it as well. You said that you had been thinking about adapting this story into a film for fifteen years. How did your view on the story change over that period? In the beginning I envisioned a style that was more like a monologue, a first-person view from Yagira's character. I felt a very direct relation with him. However, over the years I aged and eventually I became older than the mother was at the time of the incident. As a result, my view changed as well and I felt that my position was that of someone standing next to that boy, and maybe occasionally giving him some encouragement, a pat on the shoulders. Not a hug, because if you hug someone, you can't see what they are seeing. Not an embrace either, because an embrace is too intimate. I felt it was necessary to keep a certain amount of distance, for me as well as for the camera, in order to see the same things as that boy. You've been talking about your wish to direct a jidai geki for quite some time. Are you still planning on doing this any time soon? Yes. In fact, my next film will be a jidai geki. You are seen as an artist who deals with very contemporary issues. So what is it that interests you in the jidai geki genre? Nobody Knows is a summation of the kind of film I've been doing until now. So for the moment I don't believe I can make a better film of this kind than Nobody Knows. It's better to make a very different type of film and broaden my abilities as a filmmaker. I wanted to create a big lie, meaning the opposite of the documentary-style, naturalist, contemporary films I've been doing. The obvious choice was a jidai geki. But to be natural doesn't automatically mean to be real. So far I've tried to use naturalism to search for reality, but now I will try total fiction to search for that reality. I felt that now is the time to do this. If I don't do it now, I don't think I will ever be able to do it again. So my next film will be a jidai geki for Shochiku studios, based on a rakugo story with revenge as its main theme. I wanted to make a jidai geki like the type that Sadao Yamanaka used to make, one that isn't so macho and where it's not about people dying all the time. I want to show how difficult it is to kill a person. The story revolves around a weak guy who goes out to avenge the death of his father, but he does it very unwillingly because he would prefer to live longer.